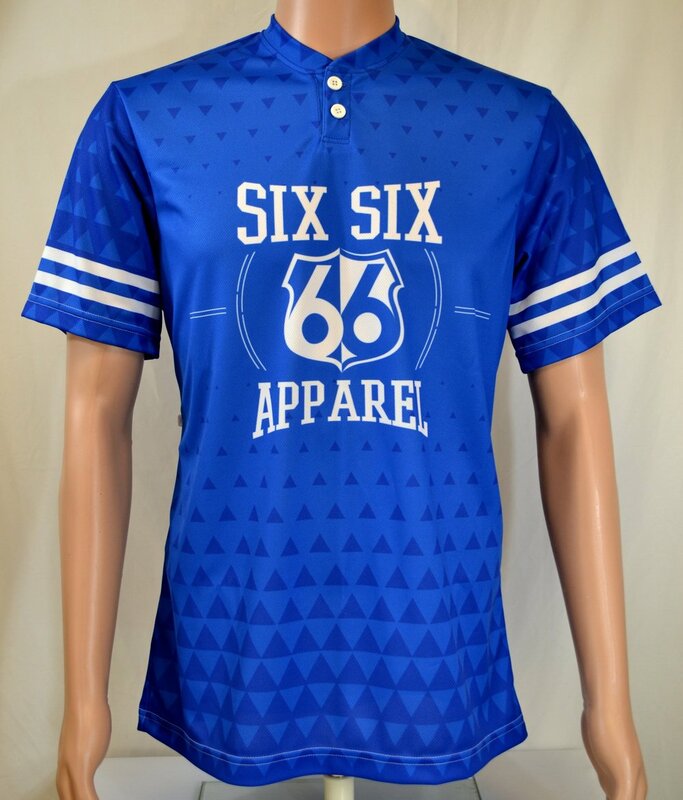 Six Six Apparel creates full color custom shirts with the process of dye sublimation. Each shirt is designed, printed and heat pressed. Then the SixSix Cut & Sew team constructs each garment by hand. Each apparel item unique to Six Six. 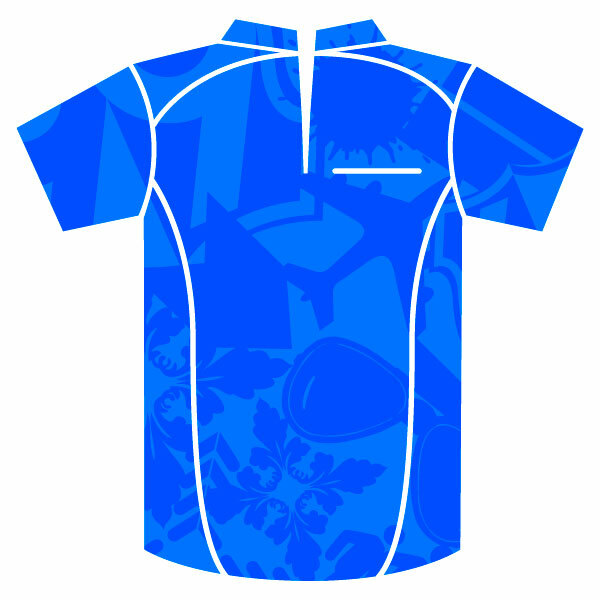 Our Fashion design pattern maker plans each shirt to optimal specifications. Choose from custom edge to edge printed t-shirts, polos, jackets, hoodies, tees, leggings, dress shirts and more. 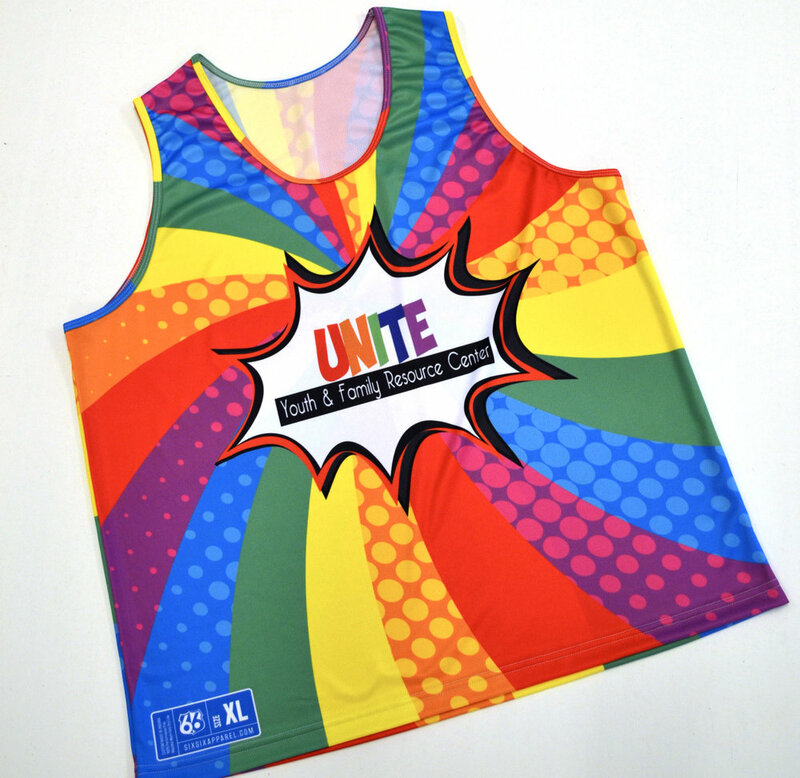 Custom printed with unlimited colors. 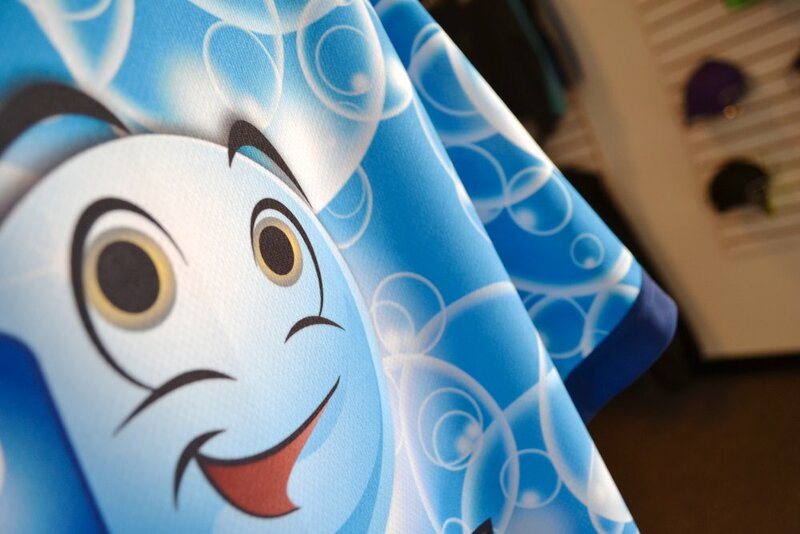 With Dye Sublimation, graphics can be printed all over, including over the seams. The options below include full color, edge to edge graphics. Each garment is printed, cut & sewn at our shop in Indiana. All fabrics are polyester or poly/spandex blend. Our standard T-shirt with traditional fit. 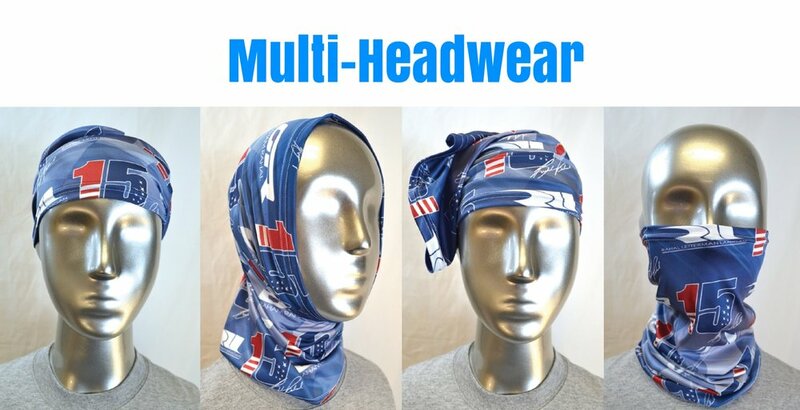 Great for athletic jerseys or everyday wear. Soft Spun (20A): Smooth soft poly/spandex blend with the feel of ringspun cotton. Tailored for a slightly slim fit. A stylish cut for daily wear. Soft Spun Fabric (20A): Smooth soft poly/spandex blend with the feel of ringspun cotton. Casual shirt or jersey. A favorite of marathon runners and fishermen. Add-ons: chest pocket, split hem. 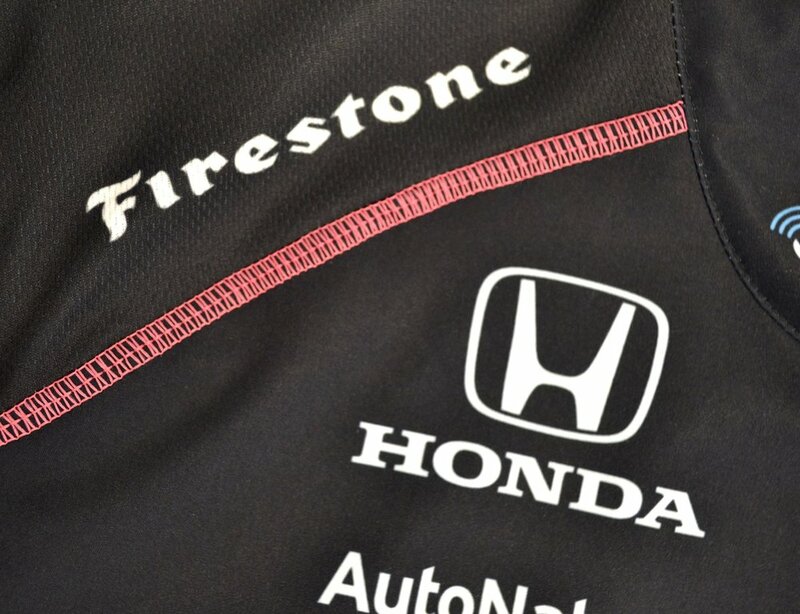 This is an amazing high-quality sportshirt developed with IndyCar crews in mind. Its wicking side, back and shoulder panels help you stay cool in the hottest temperatures. The front and sleeves have DuPont stain resistant / water repellant properties. It stays looking crisp and vibrant no matter what you throw at it. Microfiber Fabric (50B) on front, collar and sleeves: Woven with DuPont Teflon DWR (durable water repellant), stain resistant. 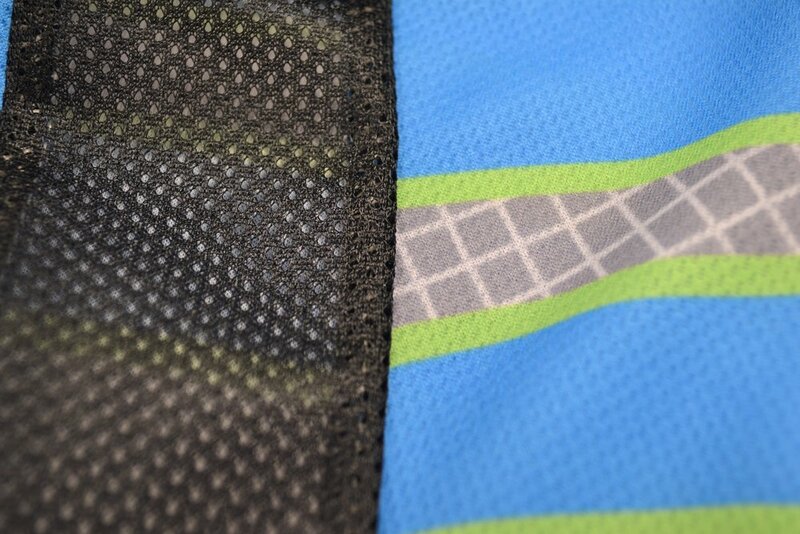 Athletic Mock-Mesh Fabric (10A) on side panels, shoulders & back: Moisture wicking, 50+ UV protected with mock-mesh texture. A cousin of the quarter zip (shown above), this dressy button down has all the same features: breathable side, back and shoulder panels to help you stay cool in the hottest temperatures. Front panel & sleeves with DuPont stain resistant / water repellant properties. Stays looking crisp and vibrant no matter what you throw at it. 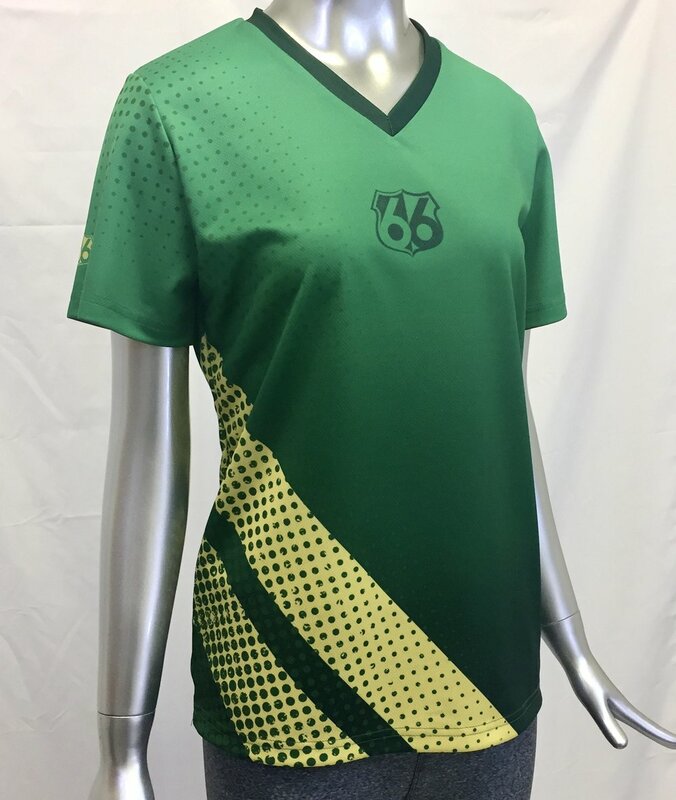 Look professional while you support your team or business! Great for trade shows, coaching and team management. Add-ons: chest pocket(s), split hem, contrast piping along seams. A popular choice for business or casual wear. Short Sleeves (long sleeve option available in adult sizes only). Add-ons: chest pocket(s), epaulettes, split hem, contrast piping along seams. Professional look, durable construction. Open front with buttons or hidden snaps. Add-ons: Hidden snaps down full length of front (instead of buttons), chest pocket(s), epaulettes, split hem, contrast piping along seams. The Ladies version of our button down has a distinct silhouette which features an open neck and flattering sides. Microfiber (50B): on front, collar and sleeves: Woven with DuPont Teflon DWR (durable water repellant), stain resistant. Chest circumference 25-26" 26-29" 30-33" 34-37" 38-41" 42-44"
Hips circumference 29-30" 30-33"" 34-37" 38-41" 42-45" 46-48"
Tank with a soft, comfortable feel. Looks great and breathes. Perfect for softball. Comfy hooded sweatshirts with drawstring and kangaroo pocket. Great for athletic warm-ups or everyday wear. Whatever you wish to call them, these are great compression leggings / yoga pants / tights. And we worked hard to get the fit just right. Other apparel, accessories and more! With a custom sewhouse and an expert team anything is possible! 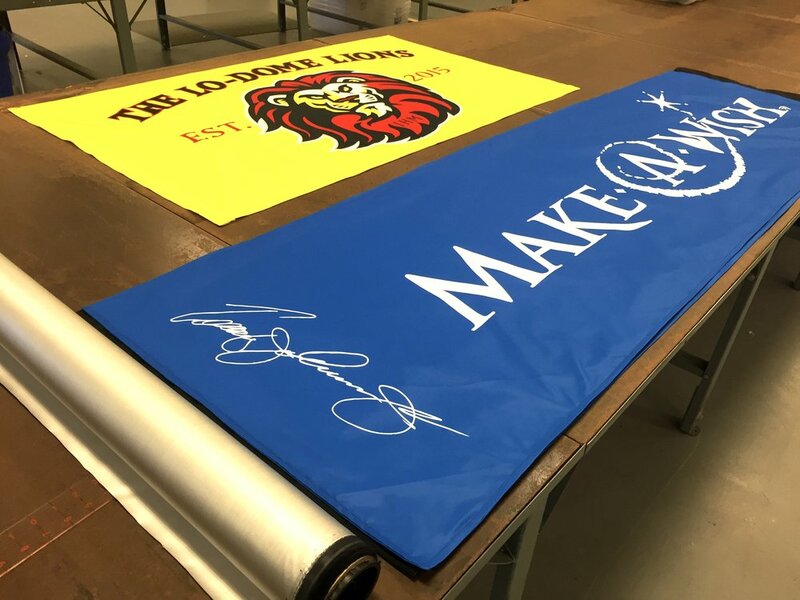 We've created some great promotional items you may want to add to your order. All are custom made in-house. And if you need something that's not listed here, we develop custom items. You can request anything at all using the Request-a-Quote button below.